Harding Construction was the proud winner of the South Canterbury Medium Business Excellence Award, 2018. Judges commended the company’s systems development, company culture and commitment to providing excellent customer service. The Business Excellence Awards (BEA) are well supported in South Canterbury, with record entries this year. Janet Hogan, BEA coordinator for South Canterbury Chamber of Commerce said organisers were excited by the calibre and number of entries received. The BEA recognise and celebrate business excellence, playing an important role in promoting and strengthening economic development in the region. The entry process requires businesses to review their strengths and weaknesses by providing information and commentary on company systems, performance and culture. "Answering the questions requires careful thought from different perspectives," says Simon. "Staff discussions to answer questions can also offer great insights into the culture of the business and prompt ideas for growth and development." Adele Fogarty, Office Administrator for Harding Construction, is a finalist for Employee of the Year in the 2018 South Canterbury Business Excellence Awards. "We are thrilled that Adele is a finalist," says Heather Harding, General Manager of Harding Construction. "Adele is fantastic at her job. She is a terrific team member and is not only an inspiring and motivating colleague, but is also a lot of fun." 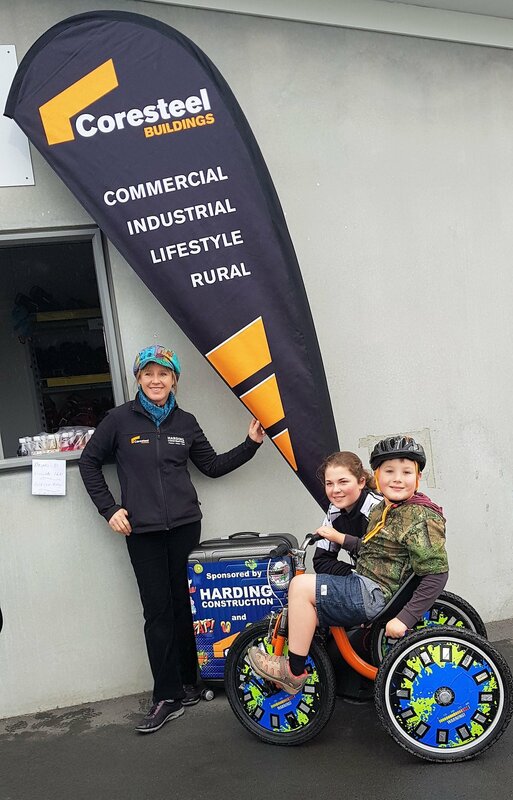 Born and bred in Timaru, Adele has worked as Office Administrator for Harding Construction since November 2016. She has a wealth of experience in administration and book keeping, as well as having owned her own small business. "Adele's depth of knowledge and professional experience coupled with her great attitude and engaging personality make her very effective in her job," says Harding. "She's truly deserving of her place in the finals." The winner of the Employee of the Year Award will be announced at the South Canterbury Chamber of Commerce Business Excellence Awards Gala Dinner on August 24, 2018. 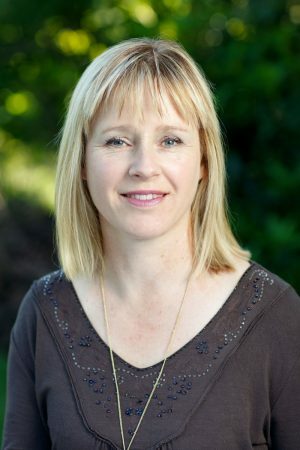 Get to know Coresteel Buildings South Canterbury's General Manager Heather Harding, with 10 quick questions. We took the South Canterbury Coresteel franchise on at the end of 2013. I was a complete newcomer to the construction industry, having come from a primary teaching background. My focus within the business has always been marketing, sales and HR. Sales is remarkably like teaching – both are about convincing my audience that I’ve got a good idea and now’s a good time! I really enjoy being creative and thinking of different ways to get messages across. I’ve always enjoyed problem-solving and helping people, so sales ticks that box for me. It can be daunting meeting people and trying to establish relationships, but it’s very satisfying when it works! I taught at a primary school in Tanzania, East Africa for 2 years. It was the highlight of my career and I’m still in touch with some of those students 20-odd years later. Mwanza was the 3rd poorest city in the OECD at the time. There were scorpions, snakes and monkeys in the playground, water was trucked in daily on the back of a ute and the electricity only worked for half an hour during the day, so there were plenty of challenges! Our building company, Harding Construction, won Special and Bronze awards at the 2016 Master Builders Commercial Project Awards, Best Company Culture Award at the 2017 Asia Pacific Business Excellence Forum and was a finalist in the 2016 South Canterbury Business Excellence Awards. Our Coresteel franchise was a finalist for the 2018 Coresteel Marketing Award. “Be sure to create an outstanding week” – Paul Dunn, business mentor and chairperson of B1G1. I like the instruction to create my own success. Stuff happens. It’s up to me to shape it into a good outcome. I grew up on a beef and cropping farm in Methven, Mid-Canterbury. I still love driving tractors and working with stock. I’m a country gal at heart. I live with my lovely husband Simon and two gorgeous girls Elizabeth (10) and Rose (7). Jack the dog and Billie the cat make up the rest of the dependants. Amy, our eldest daughter is a QS in Auckland. Tanzania! You just can’t beat it for experience, heart, people, animals, scenery, smell, taste… It’s a life-changing place. I’d like to climb Mt Kilimanjaro – or at least, get up to the snowline. I wanted to do it when I worked in Tanzania, but I couldn’t afford it. Kilimanjaro is the highest peak people can climb without needing oxygen tanks. I sing opera! Or rather, I used to. I studied classical singing for years. I competed at national level and was a member of the NZ National Youth Choir. We sang with Dame Kiri at the 1990 Commonwealth Games. It is with great pleasure that we announce the addition of Jack McDoggo to the Harding Construction team. Jack's strengths in customer liaison and staff relationships have made him an instant hit. His penchant for Rubbish Bin Raiding has not proven so popular. Jack's friendly, entertaining nature makes him a pleasure to have around. The office staff are getting used to high-stepping over dog toys and taking occasional walkies to avoid messy disasters. "It's good for my step count" laughs dog enthusiast and Office Administrator, Adele Fogarty. Adele's job description now includes puppy-sitting and frequent slobbery object extraction.